There is apparently a dire shortage of video in the world today, but don't worry -- big companies are rushing to fill the imagined void with, you guessed it, even more video. The latest light and nimble entrepreneurial venture to wade into video is none other than Facebook. It's starting something called Facebook Watch -- clever, no? Watch will be just what you expect -- a video distribution platform that we're told will be chockfull of scintillating, original video. And, of course, like everything else these days, it will be "personalized," meaning you'll be shown videos that Facebook thinks you want to see. Or, to be a bit more precise, videos that Facebook's advertisers want you to see. Like everything else on Facebook, it will also be driven at least partly by what your friends -- and your "Friends" -- are watching and raving about. We're told you will find it on the Facebook menu bar, replacing the tab that currently says "Video." 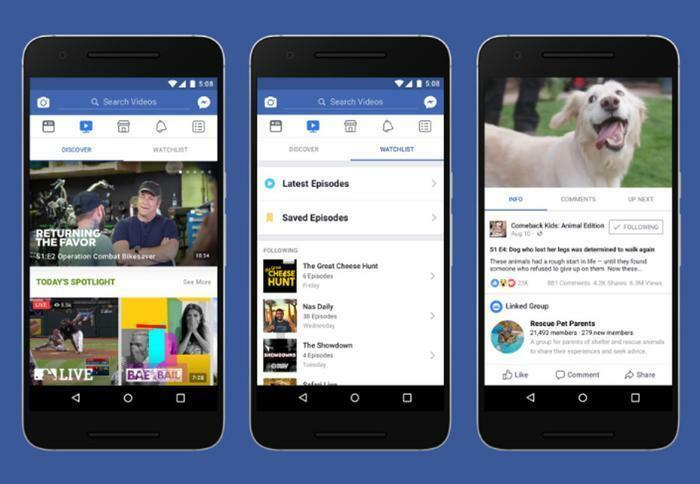 "Watch is personalized to help you discover new shows, organized around what your friends and communities are watching," said Daniel Danker, Facebook Director of Product. "For example, you’ll find sections like 'Most Talked About,' which highlights shows that spark conversation, 'What’s Making People Laugh,' which includes shows where many people have used the 'Haha' reaction, and 'What Friends Are Watching,' which helps you connect with friends about shows they too are following." It's important to note that, unlike videos of cute cats and bouncing babies posted by your supposed friends, Watch will be the real thing -- you know, professional content: movies, series, and even sports. Facebook says it will live-streaming one Major League Baseball game each week and has several other attractions up its sleeve. Not everyone will have Watch right away. It's being rolled out, in usual Facebook fashion, on a staggered basis. So let's just say you'll be seeing it soon -- and, Facebook hopes, watching it ever after.